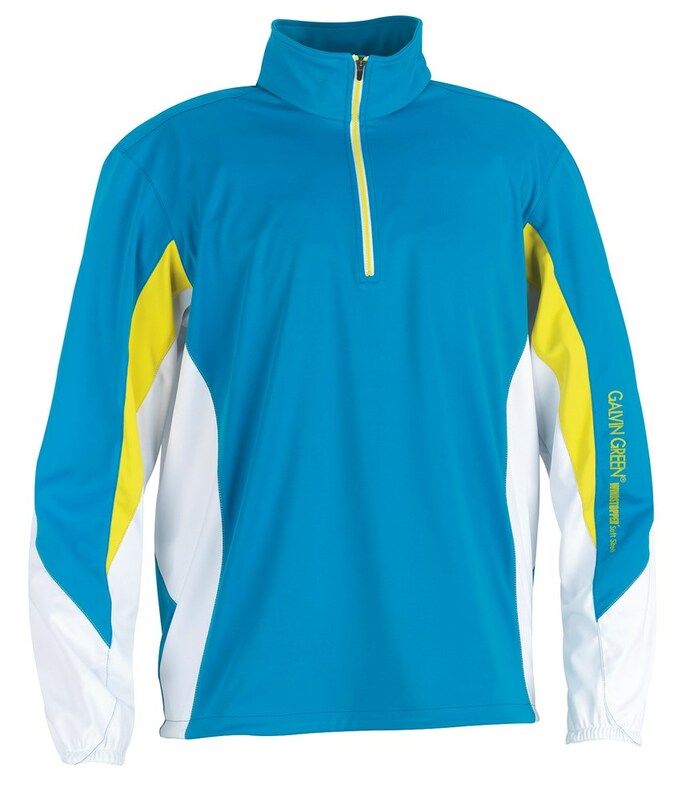 The Galvin Green Banks WINDSTOPPER Half Zip Jacket is a great way to look good and stay warm this autumn and winter. 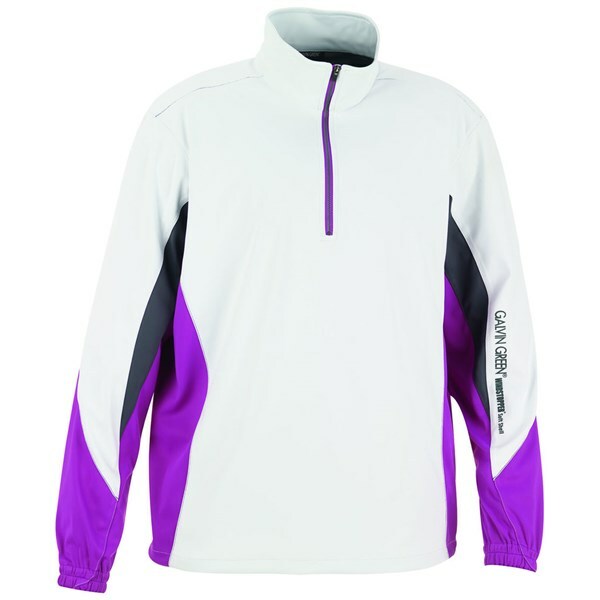 Galvin Green have designed the Banks WINDSTOPPER Jacket from a soft lightweight shell fabric, that is extremely comfortable and quiet to wear and swing a club in. 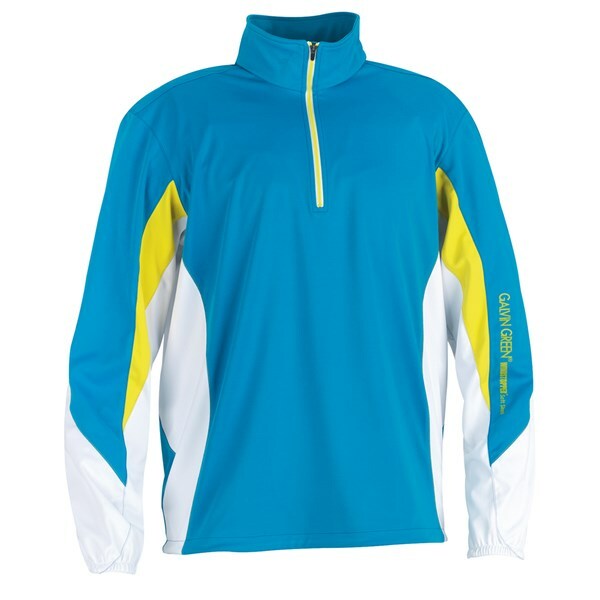 The half-zip design allows for the jacket to be taken on or off in seconds so you will not get caught out by the weather on the golf course. The sporty three-colour Banks jacket features WINDSTOPPER technology. 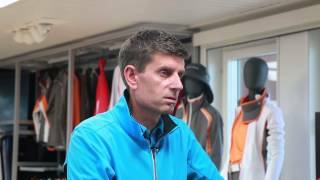 WINDSTOPPER technology makes the Banks Jacket totally windproof and hugely effective at keeping you warm when the windchill is low on the golf course. Also, any excess heat generated by the WINDSTOPPER technology will escape leaving you dry and comfortable for the entire time you are wearing the jacket without allowing the cold to penetrate through the jacket. 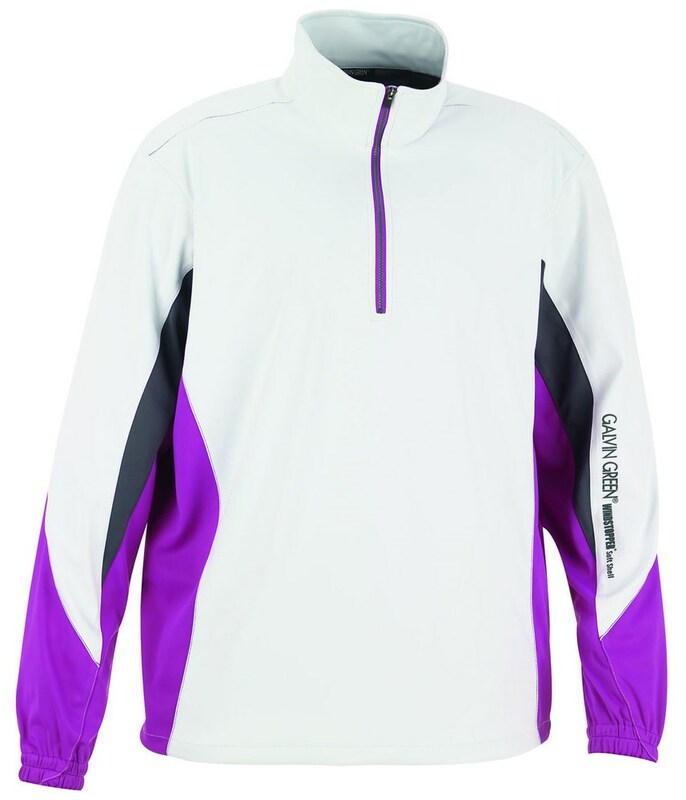 So, in our opinion the Galvin Green Banks WINDSTOPPER Jacket will keep you warm, feel unrestrictive to swing a club in, has great styling and is real easy to look after. For us this is a must for any serious autumn / winter golfer. Totally windproof. Effectively protects against windchill. 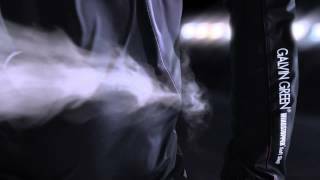 Maximum breathability that allows moisture vapour to evaporate. Thermoregulatory function keeps the body at an optimum performance temperature. Perfect fit for maximum comfort and freedom of movement, specially developed for golfers. The WINDSTOPPER® membrane is an ultra thin, totally windproof protective layer which is laminated to a lightweight textile layer. The membrane is made of the versatile polymer PTFE (polytetrafluorethylene) which is expanded to create a microporous structure. These micropores are 900 times larger than water vapour molecules, allowing perspiration to pass through unhindered.